The 80 MW-capacity facility is planned to serve three countries, namely Rwanda, Burundi and Tanzania. It should be completed in 2020, the authorities of the three countries affirm. “We want to assure the public that the deadline will be respected,” said Claver Gatete, Rwandan Minister of Energy. Once completed, the infrastructure will provide each country with 26.6 MW of electricity. 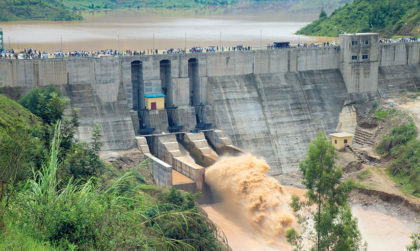 The equivalent for Rwanda of about 13% of its installed capacity. A quantity that will allow it to feed 467,000 households. Rwanda that currently has an electrification rate of 46% also aims to achieve universal access to energy by 2040. The available electricity supply in Burundi and Tanzania will increase by 38% and 1.73% respectively. The infrastructure, which is built by a consortium of the Chinese CGCOC Group and JWHC JV, has been co-funded by the World Bank and the African Development Bank (AfDB). The World bank contribute $340 million for the construction of the Power Plant while AfDB disbursed $121 million for the laying of the transmission lines that will evacuate power to the national grid in the three-member countries. Besides strengthening the regional power interconnection, the project provides job opportunities for over 500 skilled, non- skilled and casual workers from the three beneficiary countries.